Bri-mar trailers are built with pride in pennsylvania. Bri-Mar Manufacturing is one of the largest manufacturers of hydraulic dump trailers in the country. Along with their dump trailers, Steen Enterprises carries Bri-Mar equipment trailers, tilt trailers and landscape trailers. All Bri-Mar trailers meet or exceed all safety and quality standards. 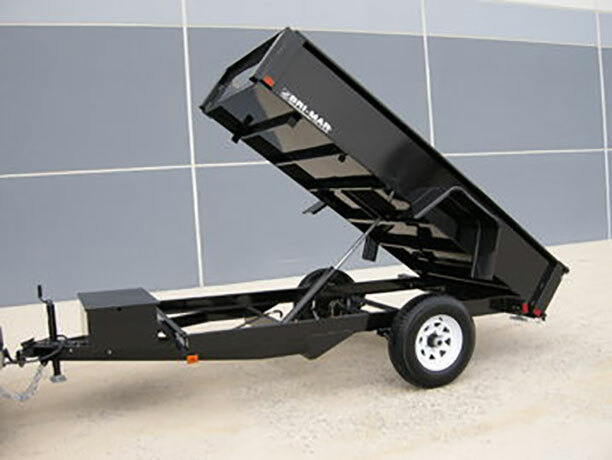 Bri-Mar makes dump trailers for almost any application and use. From their R Series for the do-it-yourself homeowner to the big LPHD for commercial chores. Bri-Mar has a tilt trailers are know for their smooth hydraulics and durable construction. We have single axle tilt trailers from 12-foot long all the way up to double axle trailers that are 20-foot long and can haul 12,000 pounds. Bri-Mar equipment trailers are an excellent choice for hauling compact equipment like tractors, skid steers and wheel loader to and from job sites. Built with Bri-Mar pride and workmanship. Bri-Mar makes high quality landscape trailers that won’t break your bank. Full width ramps make it easy for you and your gear to get on and off the trailer. The quality build and superior paint give your landscaping business a professional look.